I got this recipe for cornbread a few years ago from my sister in law. It has quickly become a family favorite. Out of all the cornbread I have ever tried, this is by far my favorite recipe! Stir all ingredients together and pour into a greased 8" square pan. 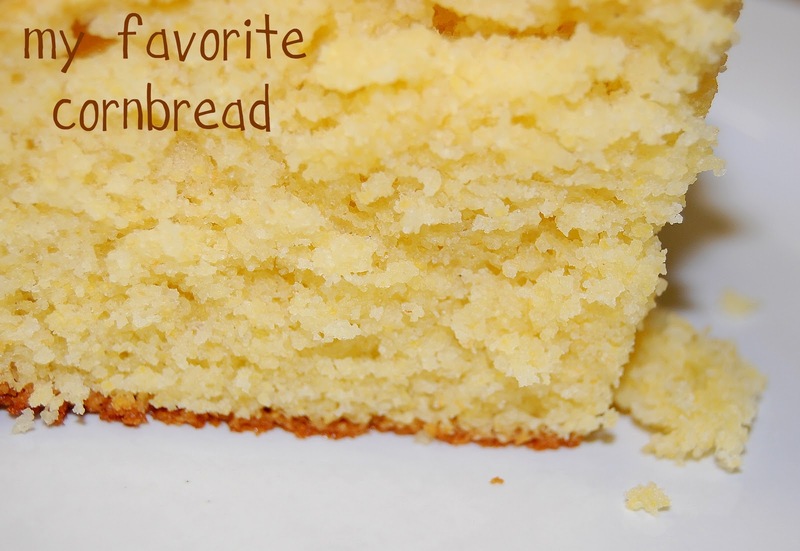 Not only does this cornbread taste so good but it's super easy and fast to make. Sounds delish..I will have to try it out! Thanks DeeDee. I can't wait to try this. We love cornbread, but I really haven't found a favorite recipe yet. This is my kind of cornbread recipe - lots of sugar!! This was a hit at my Thanksgiving table.. keeper!